Valentine’s Day is awesome if we stay focused on the right things…like family time, expressing love, and feeling grateful for the joy that our loved ones bring us. Like any holiday, it’ll take a wrong turn if it turns into too much pressure for perfection. Let’s keep it easy and enjoy ourselves, huh?! 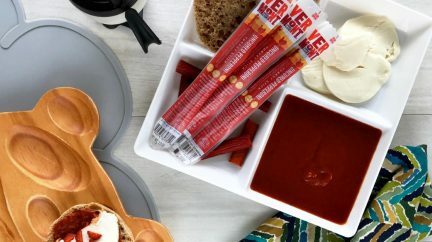 Since we’re about sneaking simple pleasures into real, messy, crazy-busy life, we put together two quick-and-easy (and totally doable, even last minute) ideas for spreading a little extra love to your family on Valentine’s Day without a whole lotta hassle (or prep)! You are incredible. You do it all. Happy Valentine’s day. Pizza night always pleases! 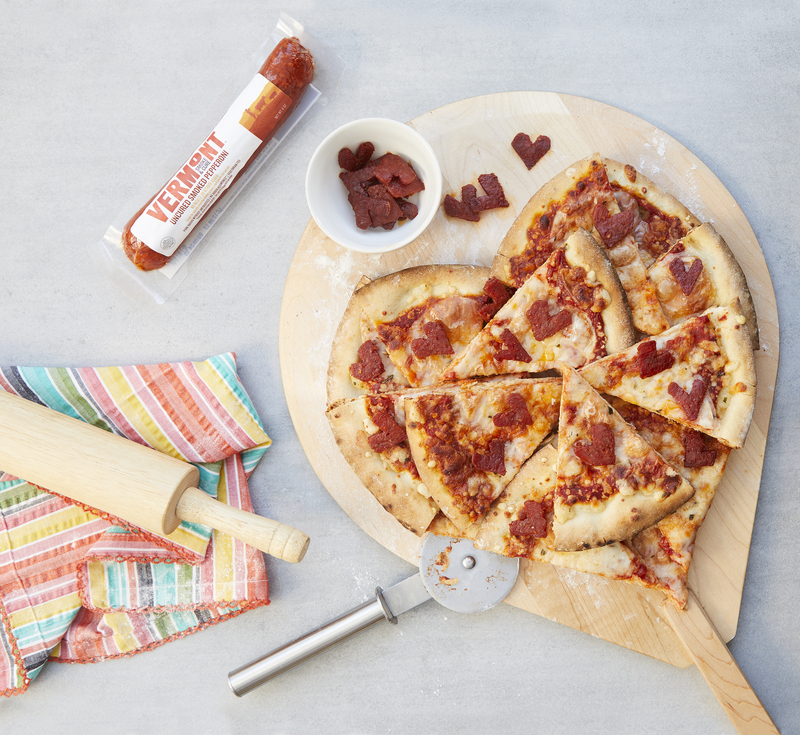 Our Valentine’s Day twist features heart-shaped pepperoni that your kids will actually want to help you make. If you’re feeling ambitious, we recommend trying one of Trader Joe’s premade doughs, otherwise, we LOVE topping Trader Joe’s premade Margherita Pizza (seriously unreal) with our Smoked Pepperoni. Pro tip 2: Save the scraps to throw in an omelet or let them snack on it while they wait for the pizza to cook! 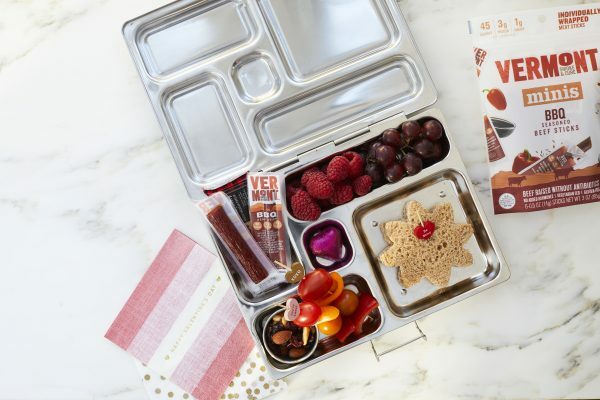 Packing a love-packed lunchbox your kids will be psyched about is as simple as a pink and red color theme. 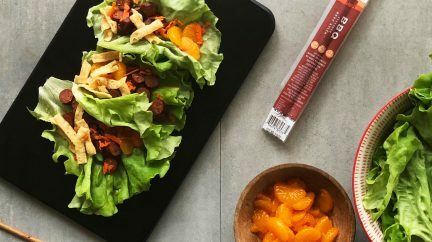 We went with raspberries, grapes, red peppers, and grape tomatoes but the options are endless! 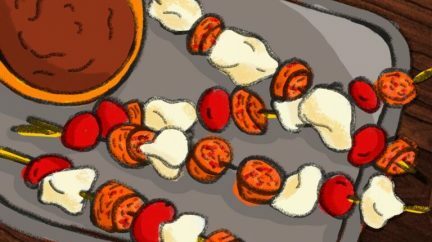 We also added our BBQ Beef Mini Sticks (Turkey Pepperoni would work as well!) and a single serve Cabot cheddar. Lots of room for flexibility here—definitely don’t take an extra trip to the grocery store. We’re wishing you a sweet and simple Valentine’s Day. Remember: you show love every single day. You could always just deliver a strong monologue on that.